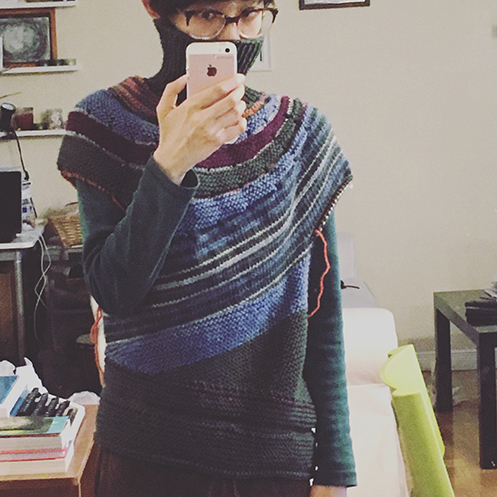 About a week ago I finished the body of the Enchanted Mesa sweater! And I’ve been working on the sleeves since. I decided to knit them flat, because while I was trying to find a tutorial about picking up stitches for sleeves and using the magic loop at the same time, I read on a blog that knitting small circumference while dragging the entire sweater around and around is a pain. And the time it takes to fiddle with the stitches with a magic loop would probably be the same as seaming the sleeves later. I can totally imagine that. J’admire votre travail! Le résultat sera, j’en suis sûre très joli. En revanche, je n’arrive pas à comprendre comment ce pull est construit!! Cela préserve une part de mystère! thank you Claudine! 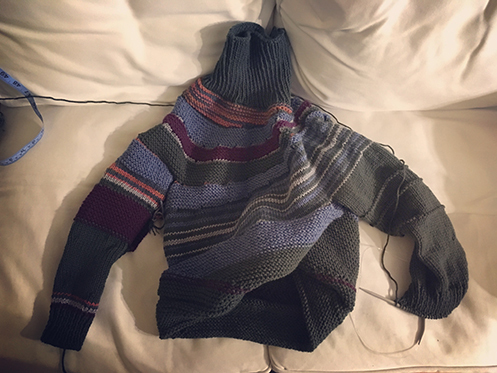 i found that the sweater looks more complicated than it actually is. 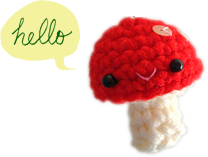 it’s mainly a series of short rows :D it was fun to make!